IT'S TOFFEE'S TURN: Malaysia, how much more is there that we know but we do not know? Malaysia, how much more is there that we know but we do not know? I am asking Malaysia this question as a Malaysian, I am asking this question of Malaysia on behalf of my fellow Malaysians and I am asking this question of Malaysia most of all for the families of both Malaysians and non Malaysians who were on the fight MH370. To begin with in Beijing a frustrated relative of a passenger on board MH730 had this to say. “Tell him in English,” he yelled to the one woman among the four airline employees. She was the interpreter, and the three men were senior managers. They did not respond to the Chinese man. It was unclear if the interpreter translated the insult. That was at the begging of this whole saga, now even more the government either wittingly or unwittingly seems to be lending credence to the accusations of this man in Beijing. 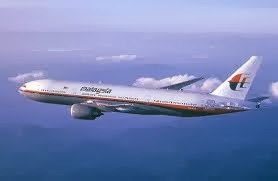 Today the breaking news was that the Malaysian Army monitored the flight of MH370, saying the flight made a u turn and headed back to the Peninsular on the northern side of the west Coast of Melaka and that is why we have ships looking into the west coast. Some questions arise out of this announcement reported in the English press, in Berita Harian and in other international papers, if this was the case whyis this only being made public knowledge now. Did Hishamuddin not say in the press conference that they were beign very transparent, and why only now has this piece been made public. Another point to ponder is if our armed forces are competent enough to know what they are talking about or is this just information from incompetent officers in our armed forces? Now if this was detected on the radar and it is indeed accurate as it comes from our Armed forces, why is it the search is concentrated in the South China Sea on the Eastern shores of Malaysia and the areas bordering Vietnam? Many of our neighboring countries are are assisting putting their resources out to sea to help us find MH370 and most of them are in the South China Sea have we sent them on a wild goose chase? If we have is that the way we treat our friends? Why do we expose so much of incompetence, our Inspector General of Police was addressing the press today, the international press, with coverage on BBC, Al Jazeera, CNN and I am sure even CCTV I saw it on Sky news, and if you heard what he had to say about covering all angles you'd be ashamed. Mahahtir's tweet about not embarrassing the nation as the whole world is watching apparently did not get to him and many members of our government. How much more is yet to be told which can be told and why is it being held back, is ther ea possibility that if it is revealed it will implicate our government? If there is a case Malaysians will be least surprised, we have seen bigger surprises and have become bigger victims to this kind of public shame. withholding of information in such an important case, and all we get on a daily basis is some imbecile addressing the press, feeling very important about it only to tell them he does not know anything yet, and what he knows is not for public consumption. There are more than a thousand relatives waiting anxiously for some news and they get the same thing daily we do not know and what we know we can't tell you it will be a breach of security. 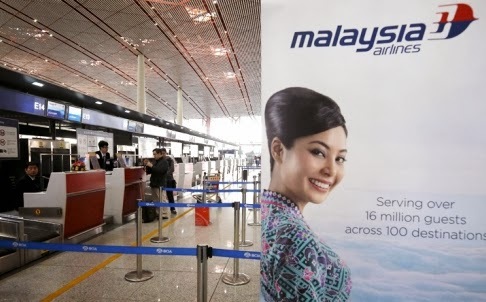 To this day we are not told if the five passengers who did not board the plane have or are being investigated, any rational person will certainly want to knwo this, and why after checking in did they snot board the flight. Where are they now? Was their baggage actually taken down from the plane and if so how did the plane leave on time as scheduled? Our incompetence exposed, how do we expect foreigner to take us seriously,with such incompetent people running the country. Where is Najib? As usual hiding I suppose or maybe even sleeping. Malaysia how much more is there that we know but we do not know? "Tainted?" What about You Chua? Kajang issues, the real ones. KAJANG - NOTHING TO DO WITH INDIANS.